Mordor is dangerous place. How are you making it feel this way? I’m hoping to challenge you folks as you wander through the blasted landscape of Gorgoroth. First off: Over the course of each update there tends to be a lot of player power creep in the game. In the case of the last two or so updates, that power creep got to the point where it was kind of undermining gameplay on landscape and in our general instances. Also, some of our stats, such as Finesse, had become somewhat meaningless because the enemy’s mitigations had become too small to care about. 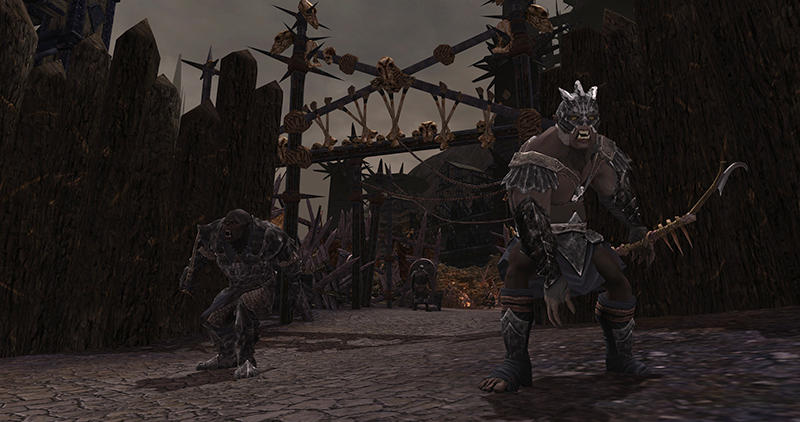 Needless to say, Mordor isn’t a place where players should feel entirely ‘safe’, so one of my first goals was to shift things back towards where the game was originally designed for – which is to say, a pull of 2 normal on-level mobs is supposed to entail a bit of risk, and 3 or more is supposed to be a dangerous challenge. 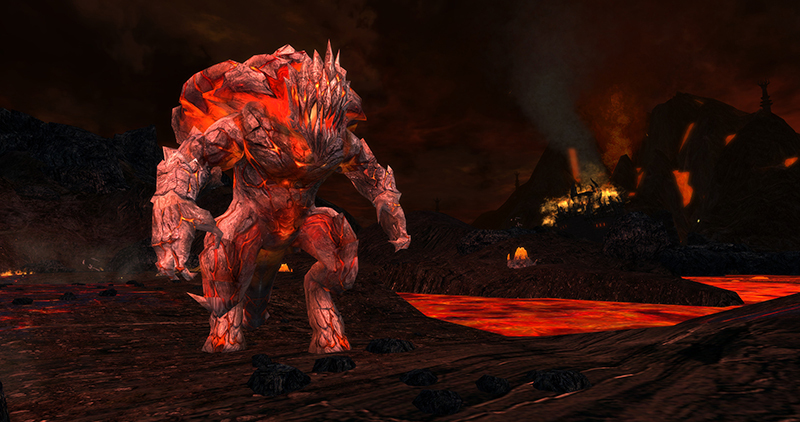 So what types of changes can we expect when Mordor launches? First off, we reworked the ratings system (things like Armor mitigation, B/P/E, etc) – the old one was arcane and damn near impossible to balance effectively. Pretty much the first thing I did in my new role is design a new ratings system which is much more straightforward. This let me recalibrate everyone’s ratings for the new level range – which will make it quite a bit more difficult to max out your mitigations as you proceed further into Gorgoroth. Next, the damage and vitality basis of the game needed to shift somewhat. Players had reached the point where a DPS build could regularly one or two-shot landscape mobs, some tank builds were functionally invulnerable outside of a raid, and so on. In part this necessitates a big bump in monster vitality and damage as we go into Mordor, so they got one. Pretty simple stuff there. Player vitality and damage are going up of course, but they don’t get quite the bump that the mobs did. Will Mordor be challenging? Difficult? Overall, the difficulty of Mordor is a tricky problem, because we do want it to feel harder, but in allowing the difficulty to slide a bit too low for an extended period of time, we kind of let our players skills and expectations degrade. I want to improve the challenge of Mordor, but not as a brutal shock to the more casual players, so over the course of development I’ve been playing with the difficulty slope as you go in. At this point I’ve got it set up so that a player entering Mordor with so-so gearing should be able to handle the landscape pretty easily – but the ramp of difficulty as you proceed through the zone is going to be noticeable, I think. This should give everyone a better chance to adapt to the changes in difficulty a bit more gradually. I’m sure that well geared characters will find it ‘too easy’ at first, but this will likely change as you proceed. With increased difficulty, what does this mean for the gear that I already have? The single biggest chunk of work was redesigning the gear for Mordor. There was a general feeling that we wanted to go back to real gear designs, rather than the almost purely essence driven gear we’d been using for the last couple updates. A piece of armor with 4 essence slots is flexible, certainly, but it’s also a kind of a letdown when you find a great piece of gear in a raid but it’s basically just junk in your backpack until you grind out several high-end essences to put in it. Essences are still going to be a significant aspect of gearing, but as a % of your stats and in terms of total slots, they’re going down quite a bit. We also decided that the number of slots on your gear should mostly have to do with its rarity – uncommon gear is the baseline in Mordor, and for the most part it doesn’t have essence slots, as we expect players to be working to replace it with shinier stuff pretty quickly. Not much point in trying to grind out essences for a piece of gear you hope to replace in a few days. So this necessitated coming up with new stat packages for thousands of pieces of gear to be won over the course of Mordor. Because we were taking away some of the flexibility of essences, I created a wide variety of stats for the gear itself, to give players the ability to mix and match their gearing to achieve something close to the stats they want for their particular build. That was a lot of work. We’re working on polishing up the gear sets and working on their distribution even as we come down to launch. On the plus side, it should make your decisions about gear in Mordor a good bit more interesting and complex than they’ve been in the past few updates.